What better time to get your boat repaired in Minnesota than during the winter time. It’s too cold to bear the Minnesota waters during these months, but it’s not too cold to get any maintenance done on your boat! At Anchor Marine Repair, the number one boat repair shop in Minneapolis, we notice too frequently that one of the main reasons boat owners don’t get around to fixing their boat during the offseason is because they do not have a way to lug their boat to the shop. Thanks to our commitment to customers, our staff offers free boat pickup and delivery services to the surrounding Minnesota area! Now you really have no excuse as to why your injured boat stays in your yard all winter and isn’t ready to get back in the lake come spring! At Anchor Marine Repair, we haven’t developed this great reputation by just sitting back and letting the business come to us. Instead, we have made a commitment to set ourselves apart from the other boat repair shops in the area when it comes to customer service. We are proud to offer our loyal customers free pickup and delivery services from your home, dock or marina within a 250 mile radius of the Minneapolis/St. Paul area. This will take the burden of having to haul your boat down to our shop. While the winter weather hits the area, let our staff work on your boat maintenance and repair needs within the warm confines of our 10,000 square foot state of the art facility. Once our work is complete, our staff will deliver your boat right back to you at no cost so that it is ready to get back in the beautiful Minnesota water come spring! Anchor Marine Repair makes it easy for you to get your annual maintenance or boat repair needs handled during the brisk Minnesota winter. 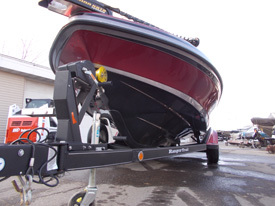 Take advantage of these cold months and let our staff tune up your boat in preparation for 2016. Offering free pickup and delivery services within a 250 mile radius of the Minneapolis/St. Paul, team up with the number one boat repair shop in the area today by calling (763) 972-3540.